The Moorea Marathon was established in 1988. Now international, the event welcomes runners of all backgrounds, supporters of extraordinary races. 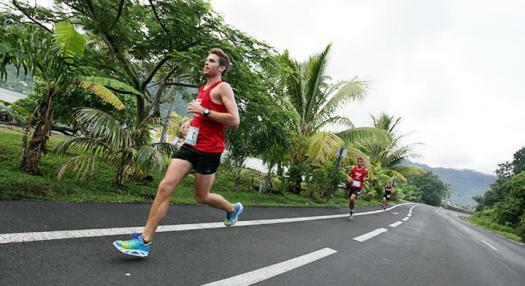 The course, with its breath-taking landscape and sumptuous natural life, is ranked by many athletes among the most beautiful exotic marathons. The festive atmosphere along the course, on the refreshment stands and all the way to the arrival, foretells all marathoners a race full of deep and intense sensations!